Whether you are looking to buy or sell South Atlanta Real Estate or find information on the cities in South Atlanta of McDonough, Stockbridge and Locust Grove in Henry County and Jonesboro, Hampton, Morrow, , Forest Park, Lake City, Rex and Ellenwood in Clayton County, you can find it all here! Find Homes In South Atlanta by getting the most current real estate Listings. Be sure to take advantage of South Atlanta's most technologically advanced real estate website! Have Real Estate listings automatically emailed to you as soon as they hit the market! Or search for South Atlanta real estate on the most advanced real estate map search around! Curious to know what your South Atlanta home or property is worth? Whether you are thinking about selling or refinancing, our home value estimator will give you a safe range of your home's value. For a more accurate home value take advantage of our FREE in-home consultation available to South Atlanta Henry County and Clayton County residents 7 days a week! When it's time to move, you need someone who will advertise your home, show to prospective buyers, negotiate the purchase contract, arrange the financing, oversee the inspections, handle all necessary paperwork and supervise the closing. We can take care of everything you need, from start to close. Oftentimes buyers don't visualize living in your home the way you do. We have a team of professionals that can help you make your home attractive to its ideal audience - which can help you get top dollar. Things, like staging the home, making repairs or minor improvements, or even simply painting the walls, can be the difference between a home resting on the market and one that's sold fast. You will also need an agent that will market your property Globally to a network of over 500,000 international agents in over 80 countries including specific exposure in those countries exclusive Real Estate Search Engines, you need us to accomplish that! 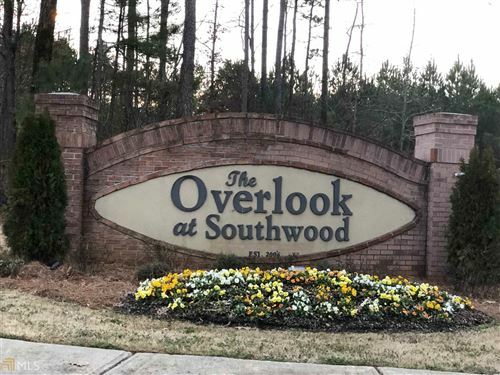 Listing courtesy of REALTY SOUTH, INC.
Last updated on Apr 19, 2019 5:10:pm. Updated Apr 19, 2019 4:47:pm. Based on information from Georgia MLS. "Raquel is a professional Realtor who is always looking for the best interest of her clients". Omar Gonsenheim. Omar has been Raquel Lavender's client since 2012 for several transactions and currently continues to do business with Raquel. "Raquel is an awesome real estate agent. My husband and I highly recommend her. She realized our need and found the perfect home for us - in one day! It was a real answer to our prayers. Since we were moving to Georgia from another state, she helped us in many other ways to make our move flawless. She went far above our expectations. Raquel, you blessed us so much!" "Raquel is very conscientious about her work. As our selling agent, she kept us involved in the process from beginning to end. We put our house on the market, November 2006 and it was sold by January 2007. I could not have asked for better results." "Raquel is an excellent real estate agent who was able to sell my home in a neighborhood where homes were sitting on the market for at least 60 -90 days and she did it within 30 days of my placing it on the market. She was the consummate professional at all times and I truly enjoyed working with her." "I am happy to have made the right decision in hiring Raquel Lavender as my real estate agent because she had the knowledge, experience, and commitment needed to sell my home. We sold the house at a very profitable price and it didn't stay long on the market. It is a plus that she is also bilingual in English and Spanish when dealing with different buyers. You will not be disappointed if you hire her as your agent." "Raquel is a very professional, persistent realtor. She worked with me on a very tight schedule to secure a new location for my business. She found a great place in the exact location I wanted with an incredible landlord. Thanks, Raquel for all of your hard work!" "Raquel is one of the nicest people I have ever worked with. She is considerate and professional. She goes above and beyond to help her customers. She is bilingual and her abilities exceed that of many other REALTOR® I have worked with. Raquel is very diverse and knows about real estate all over the country. When you want superior service call, Raquel!" "I have been talking to Raquel for a few years. Our first conversation was when the market was still weak and I decided, based on our conversation to wait a couple of years. When I called this past November, the market had become strong so we met. She gave me an honest listing proposal amount based on her knowledge of the housing prices in my neighborhood. She nailed the list price correctly and 5 days after listing, we had an offer that was fantastic. I was very pleased with the handling of my sale. Raquel listened to my thoughts and concerns and all particulars revolving around the sale were expertly handled. I am an extremely happy client." Jackie Lofton. Sold her home. "Raquel excels at real estate!! After you work with her, you will be able to tell she loves helping people!". Dr. Jeremy Hess. Owner Discover Chiropractic. "Helped me buy a home, excellent help from start to finish." Ruben Restrepo. Bought his new home. "I would highly recommend Raquel if you are looking to buy a home. She was able to find the perfect home for my wife and me. She was always available to show us houses. She listened to all our wants for a house and was able to find many homes that met our criteria. She is truly an agent that works for the client!" Ralph and Heather Guy. Bought their new home.